Sharing Saturday is still open through Wednesday!! 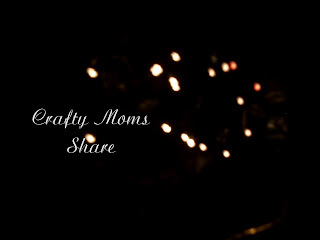 Please stop by to share your child-oriented crafts and activities and to check out all the inspiration others have shared! Also Happy Family Times is open! Please stop by and share your fun family activities this week! Help us to inspire each other to have more quality family time! The first is Night Boy by Anne Laurel Carter. I love this story. Night is the younger brother and Day is the older sister. Night cannot wait to play hide-and-seek with his sister, but he has to wait until it is dark. He pulls out his blanket to make it dark and she goes and hides (to the west of course), but he jumps in his spaceship and heads in the wrong direction and gets distracted creating constellations and the night sky. Day calls him back and it is his bed time, so she tucks him in for the daytime. The perfect activity is to study the night sky of course. Although Hazel's bedtime is well before the sun sets during the summer here, we did some exploring of constellations. We talked about how people saw images in the stars and named the constellations using their imaginations. 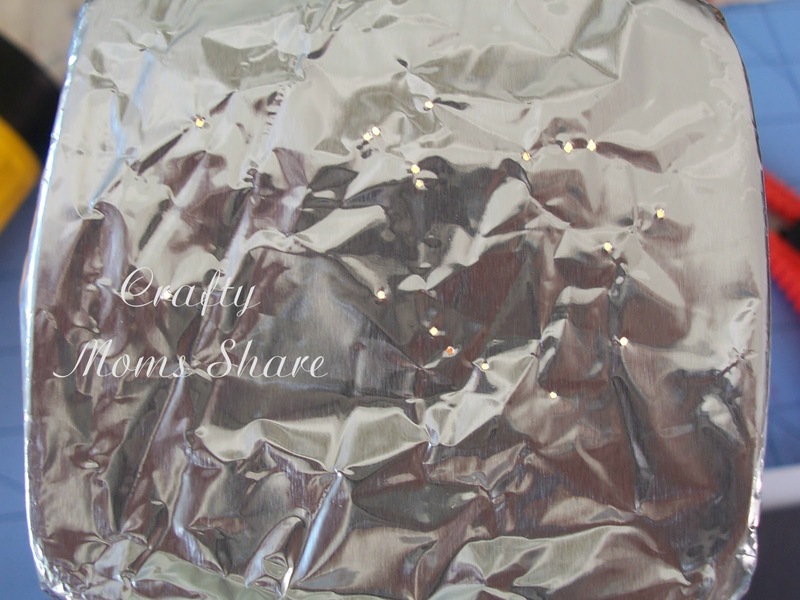 Then we created some of the constellations using flashlights and black paper or tin foil as suggested in the links below. The second book There's a Dinosaur in the Park! by Rodney Martin. This story is told by a little boy about a dinosaur coming to life in the park and how he touches him, etc. In the end the dinosaur goes right back to being a garbage can. 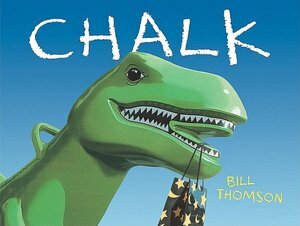 This story reminds me of one of our favorite wordless books: Chalk by Bill Thomson. It is a story of three children walking through a park in the rain and they find a magical bag of sidewalk chalk where anything they draw with it comes to life. One of the last things they draw is the dinosaur similar to the playground equipment they found the bag in and of course it comes to life and chases them. It is a very imaginative story. You should really check it out. The third book, Doors in the Air by David Weale. 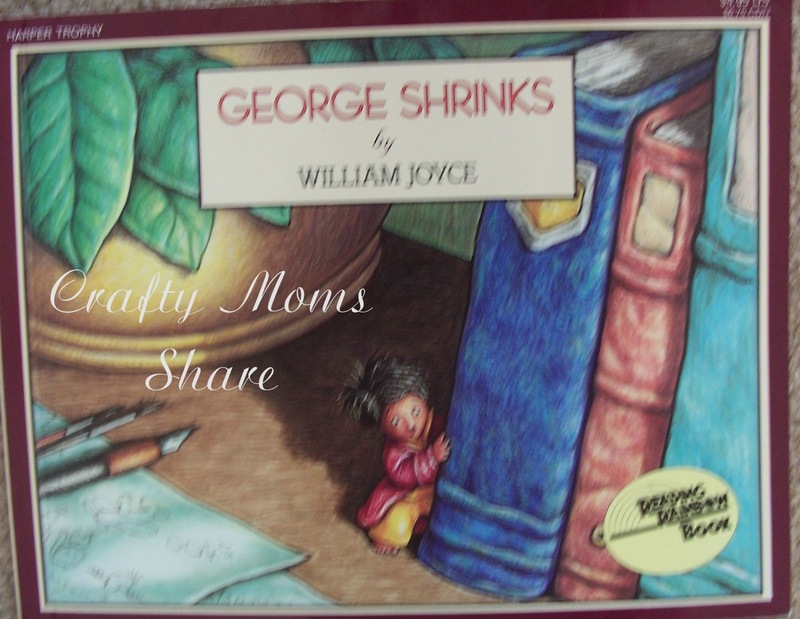 This book is a young boy talking about things in his house and how his favorite thing is doors and why. It rhymes and is cute, though it was not Hazel's favorite. 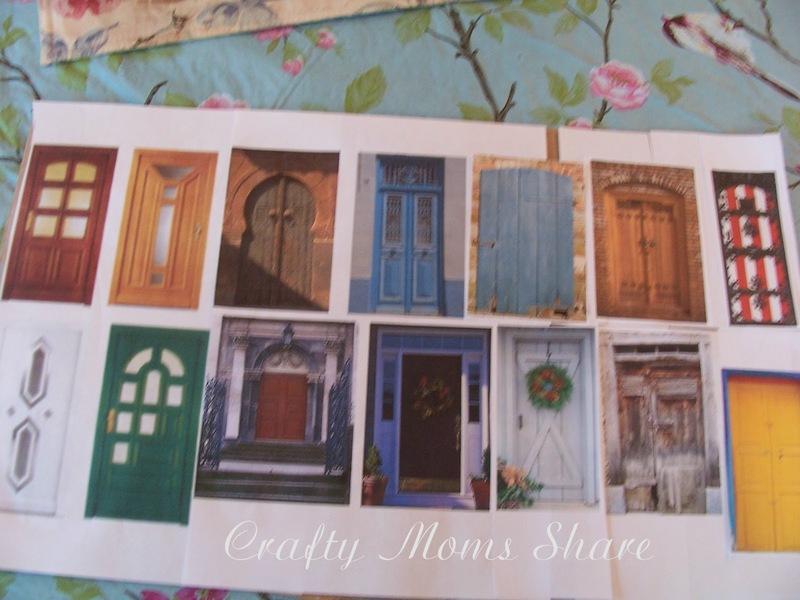 An easy activity to do with your child(ren) after reading this one is to make a board of doors and discuss/draw/paint/cut-out what would be behind each one. 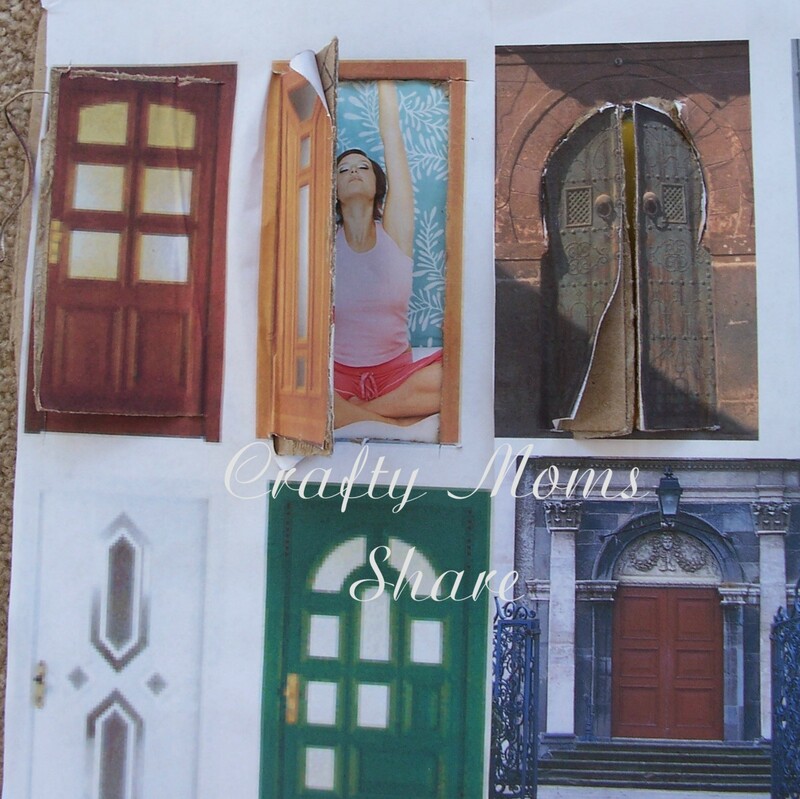 To make this board, I found various doors on Microsoft Word clip art and Google. 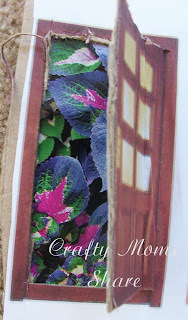 I just glued them to a piece of cardboard. Then I cut with an exacto knife so each one opens. 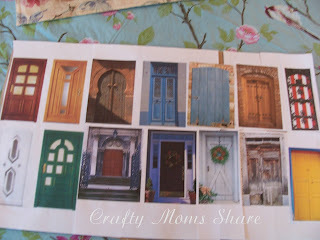 Then we will add a picture of what Hazel thinks would be behind that door. 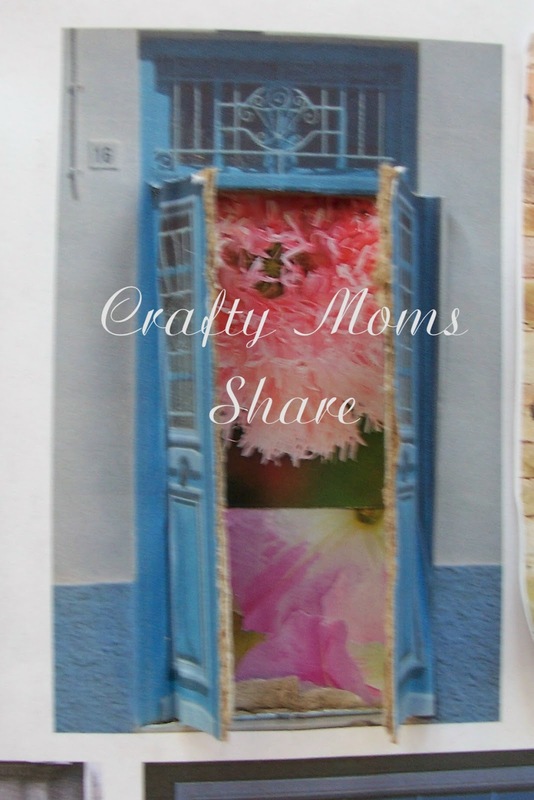 We cut some pictures from magazines and catalogs. Then glued them on. To end this I would like to share a few of my favorite children's books that require imagination. 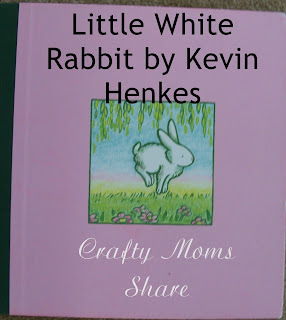 First is Little White Rabbit by Kevin Henkes (our Virtual Book Club's August Author). I will apologize now since we have long ago lost the outside paper cover of this book. The illustrations in this book are amazing!! 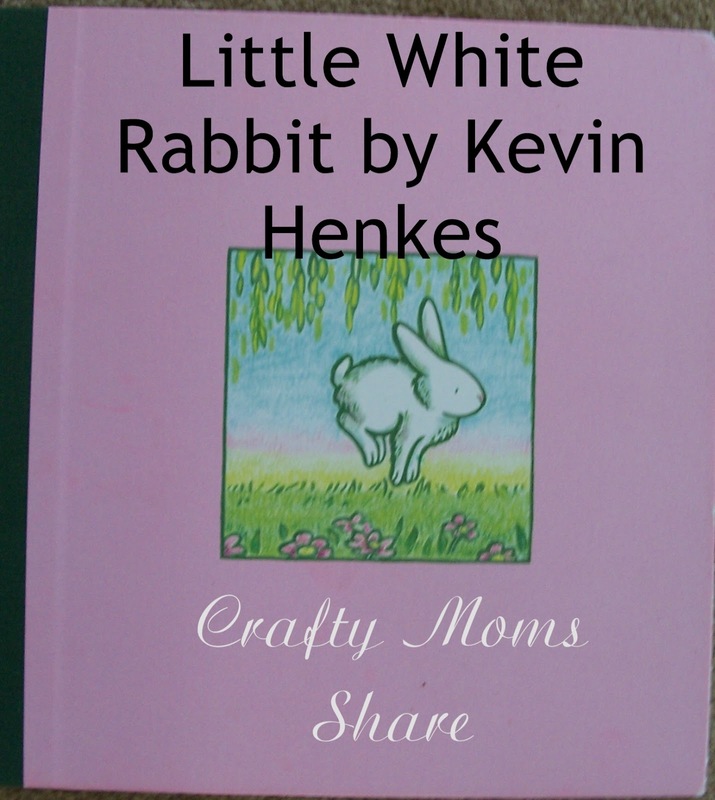 The story is about a little white rabbit who wonders about things as he encounters them. Then the next page will have a picture of what he is wondering (for example, what it would be like to be green like the grass). This was one of Hazel's first favorite books and she still loves it. George Shrinks by William Joyce is another wonderful book. It is a story about a boy who wakes up from a dream to find that the dream has come true--he has shrunk. His parents have gone out and left him a note of things to do including taking care of his younger (but now bigger brother). It is such a wonderful book that really gets your mind going. 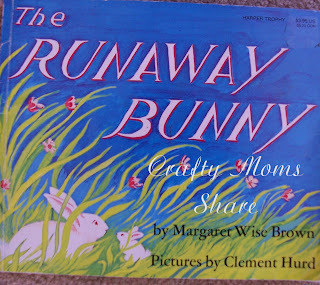 The Runaway Bunny by Margaret Wise Brown is a fabulous book. 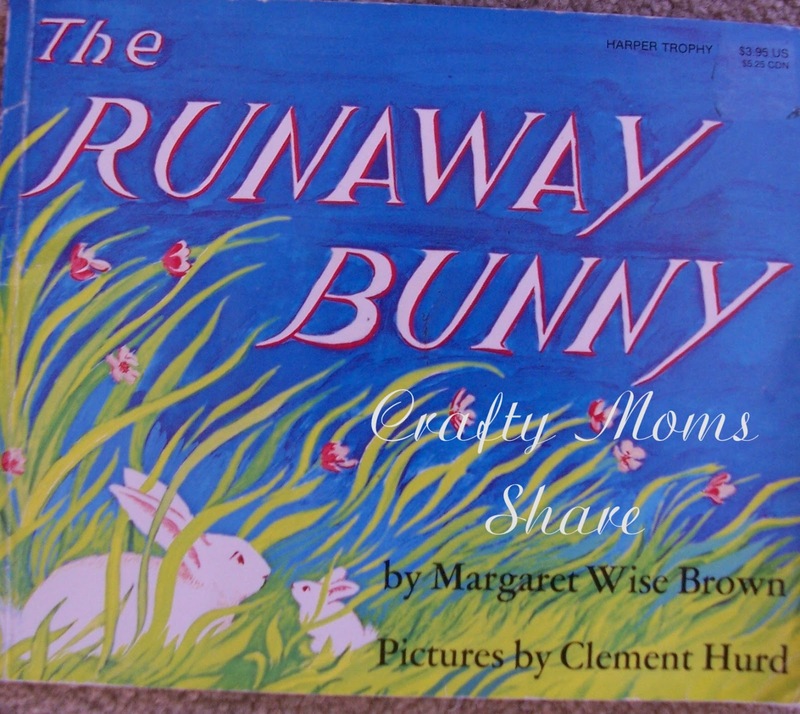 It is about a little bunny talking to his mother and how he is going to runaway and become different things and she always responds that if he turns into whatever he imagines she will be something that he needs. The Wonder Bear by Tao Nyeu is a wordless book about a boy and girl who plant a garden. The girl plants watermelon seeds and the boy plants a magic hat seed. 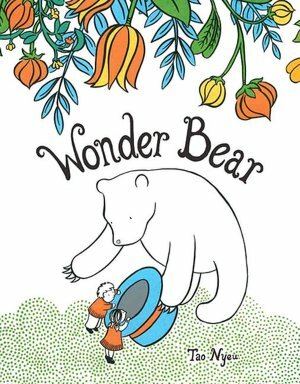 They sleep next to their garden and overnight the boy's seed grows into a huge plant with leaves and flowers and out of one flower comes the Wonder Bear who then performs magic and all sorts of creative things to fill the children's day. 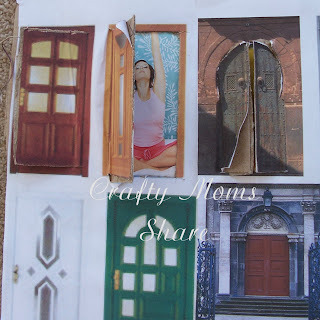 I love your door activity! It would make for a great scavenger hunt around the neighborhood too. Thanks so much for sharing at whimsy Wednesdays. Great idea with the scavenger hunt as well!! I love it, Jenny! Thank you, Tonii!! Glad you can use them!! Love your stars! Those are great! !